TotalSim have experience in nearly all forms of Motorsport Worldwide. Our engineers can help you with your aerodynamic development whatever your goals. Le Mans Race and multiple series winners. Developed by TotalSim and one of the first cars to go straight from CFD to track. Going straight from CFD to Full Scale - The Nissan Delta Wing was a huge success. TotalSim can help simulate everything from engines and airboxes, to brakes and external aerodynamics. Doing aerodynamic development via CFD is a proven and cost effective process. Whether your goal is to improve your aerodynamic performance or take CFD inhouse, TotalSim can help. TotalSim have worked with 8 x Formula 1 teams in the last 4 years, helping with aerodynamic development, optimisation, wind tunnel design and correlation. TotalSim’s foundations were built upon our roots in Motorsport with the founders all having come from Formula 1. TotalSim are now more diverse and have experience in aerodynamic development and performance prediction in nearly all forms of the Sport. Whatever your goals and budgets, TotalSim can help. Whether you have 5 or 500 people, TotalSim have services that could help. 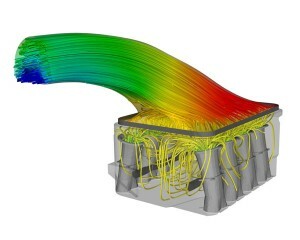 With average costs per CFD simulation as low as £100, aerodynamic development is achievable for everyone. For Motorsport CFD there is nobody more experienced than TotalSim. Please follow the links on the left to find out how we could help you, with a wide range of services ranging from aerodynamic development and optimisation, through to correlation and vehicle mapping. Welcome to the TotalSim's Motorsport section of the website, If you can't find what you are after then please get in touch.